He was arrested but can be bailed out for 0.5m hryvnyas. 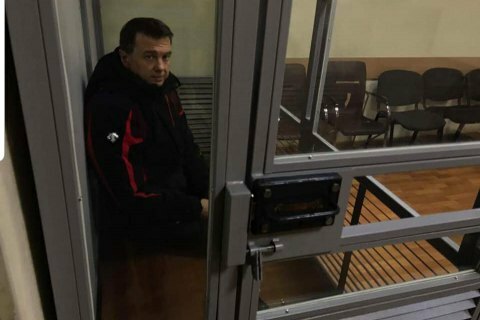 Ukrainian businessman Tymofiy Nahornyy, a former husband of Olympic gymnast Lilia Podkopayeva, has been detained on suspicion of high treason and fraud, the spokesperson for the Security Service of Ukraine (SBU), Oleha Hitlyanska, has said. She promised more details later. He was detained in Kyiv on 2 October. Two days later Kyiv's Pecherskyy district court put him into custody but ruled that he can be bailed out for 528,600 hryvnyas. The city prosecutor's office appealed the bail. As a producer, Nahornyy worked with many Ukrainian artists. He also supported talented athletes and organized sports events. In 2014, Nahornyy was detained during a peace march in Moscow and remanded for several days. He did not explain why he was detained.